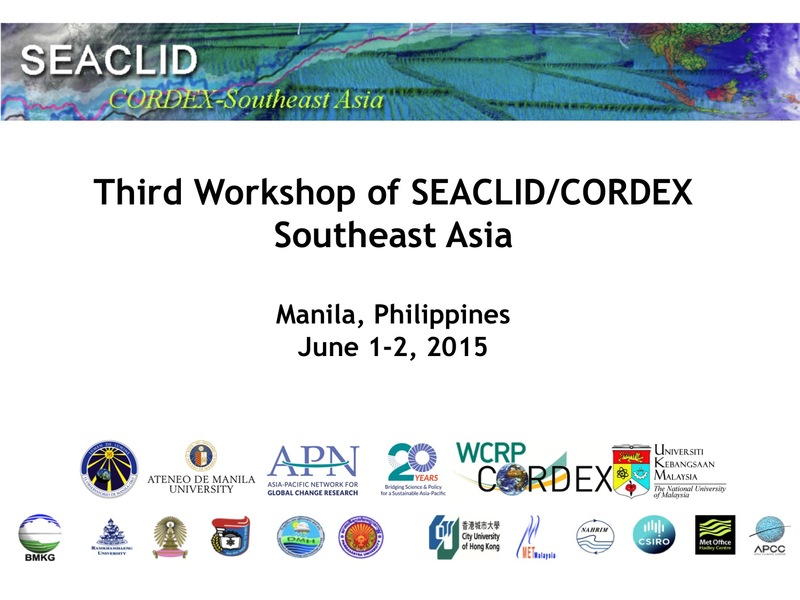 The 3rd workshop of the Southeast Asia Regional Climate Downscaling (SEACLID) / Coordinated Regional Climate Downscaling Experiment (CORDEX) Southeast Asia is going to be held from 1 – 2 June 2015 in Manila, Philippines, jointly hosted by the Manila Observatory and the Ateneo de Manila University. SEACLID is an APN funded project of the Southeast Asia Regional Climate Initiative (SEARCI). Officially established in November 2013, the SEACLID project was later streamlined into the CORDEX project of the World Climate Research Programme (WCRP) as one of its three domains in Asia and subsequently renamed as SEACLID / CORDEX Southeast Asia. SEACLID/CORDEX Southeast Asia aims to address the urgent needs for high-resolution regional future climate change scenarios for the Southeast Asia region, and to enhance capacity building in regional climate modeling and increase visibility in scientific publications in regional climate. SEACLID/CORDEX Southeast Asia is currently joined by 12 countries and 16 institutions. 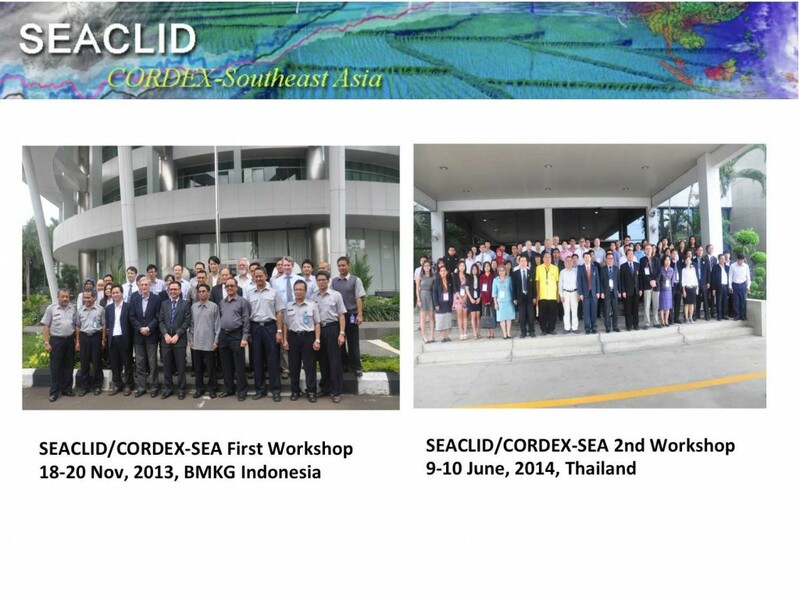 During the first year of SEACLID/CORDEX Southeast Asia, planned activities have been successfully carried out, including four related workshops. Prior to the climate downscaling runs, sensitivity experiments for selecting the best physics options for the regional climate model have been conducted. The actual climate downscaling activities have also been started and are currently ongoing. To ensure the smooth progression of the project, the 3rd workshop will be held to facilitate coordination among its members and discussion on the experiments, analysis, data management and documentation of research output.